One generality which holds good whatever the continent is that most breeders prefer to use stallions who were tested under local conditions. This was noticeable when the Australian Stud Book published a list of the country’s busiest stallions in 2017. Of the 25 who covered between 156 and 229 mares, as many as 24 carried the AUS suffix after their names, the only interloper being American Pharoah, the American Triple Crown winner who covered 158 mares. Of course, some of the shuttle stallions may have had a limited number of covers imposed on them for their own wellbeing, but the message is still pretty clear: the Australians prefer to use the local product. The same happened in Britain and Ireland after American-based stallions regularly dominated the sires’ table. After a while breeders preferred to use home-tried stallions with American bloodlines, such as Sadler’s Wells, Caerleon, Rainbow Quest, Green Desert, Danehill and Machiavellian. This preference for the familiar means that there are sometimes marked differences in the fees charged for a particular stallion in the southern and northern hemispheres. When Exceed And Excel started to shuttle, he stood for €10,000 at Kildangan and then at £7,500 at Dalham Hall. Contrast that to his first two seasons in his homeland, in which his first four years were at AUS$55,000, before his fee doubled to $110,000 in 2008 and 2009. Clearly there was some excellent value to be had by European breeders, as has been proven by the steady escalation in Exceed And Excel’s fee, which has reached €50,000 over the last two years. 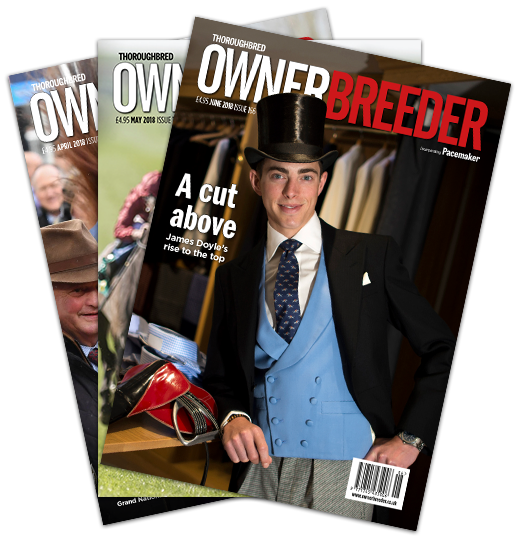 Judging by the fees being charged in the two hemispheres, there may well be more good value being offered to northern hemisphere breeders. Dalham Hall has now been home to Brazen Beau for three seasons, with this grandson of Invincible Spirit being priced at £10,000 in 2016 and 2017 and £7,000 this year. 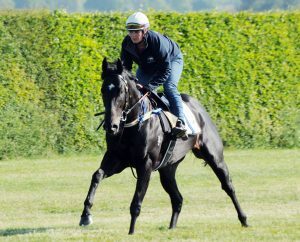 A champion in Australia, Brazen Beau also performed with credit in England (unlike Exceed And Excel). 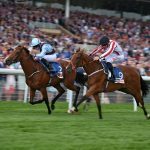 It was by only half a length that he failed to hold off the American gelding Undrafted in the Group 1 Diamond Jubilee in 2015. In his homeland Brazen Beau has a much higher profile. His fee in his first three seasons has been AUS$44,000 (around £24,000). For his fourth season later this year his fee has been reduced to $38,500. It is going to be fascinating to see whether he can replicate the phenomenal success of his sire I Am Invincible. Having started out at $11,000, his fee had risen tenfold by 2017 and is a whacking $192,500 for 2018. Coolmore’s Irish equivalent is Street Cry’s son Pride Of Dubai, who also has links to Invincible Spirit in that his dam Al Anood is a half-sister to Rafha. Pride Of Dubai managed only five starts but he was good enough – and precocious enough – to win the Group 1 Blue Diamond Stakes and Group 1 Sires’ Produce Stakes. His fee at Coolmore has been €15,000 in 2017 and 2018, yet he was priced at AUS$55,000 in his first season in Australia in 2016. Although he attracted 177 mares that year (and shares the same sire as Australia’s phenomenal racemare Winx), his fee was reduced to $44,000 in his second season, when he again covered more than 170 mares. His 2018 fee remains at $44,000, which at the time of writing equated to roughly €27,500 – nearly double his Irish fee. He covered around 158 mares in his first Irish season. There is also an equivalent at Coolmore’s American branch. This is Vancouver, the son of Megadlia d’Oro whose Golden Slipper victory made him the champion two-year-old colt. His fee at Ashord Stud has been US$15,000, whereas his services have been priced at AUS$55,000 in 2016 and $49,500 in 2017 and 2018. His current Australian fee equates to more than US$37,000, so US$15,000 looks a bargain. Vancouver covered 200 mares and 161 in his first two Australian seasons. The Americans also appear to like him, as he covered 166 mares in his first season at Ashford. While I am expecting Pride Of Dubai and Vancouver to prove very good value to their northern hemisphere supporters, it is a potentially sobering thought that these lightly-raced colts, who managed only ten starts between them, are being entrusted with more than 300 mares a year. Another possible addition to Coolmore’s Irish stallion team could be Merchant Navy, who is billed in Australia as “probably the fastest son of Fastnet Rock.” Perhaps his fate depends on how this AUS$30 million purchase performs for Aidan O’Brien in the Diamond Jubilee, but I suspect he will shuttle even if he runs below expectations. Fastnet Rock will be 18 in 2019, so a deputy would be very useful and Merchant Navy is well qualified. An unbeaten two-year-old, he has become a Group 1 six-furlong winner at three. His fee has been set at AUS$55,000 for his first season, later this year, which partially reflects the fact that Hinchinbrooke, another son of Fastnet Rock, has been enjoying plenty of success.. It is interesting to see which stallions are heading to Darley and Coolmore’s Australian business – and which are not. 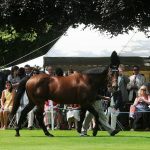 Both parties seem to have accepted that Australian breeders are interested only in stallions who either shone at distances of a mile and under, or who shone at two miles. The main exceptions to the stamina rule are American Pharoah and Frosted, who were both dirt performers.